Join WSC leadership and members at the 2019 Annual Spring Members' Meeting and Congressional Fly-In. This is great opportunity to network with the leaders in the water well industry. Click Here to make your hotel reservation or call 800-MELROSE or 202-955-6400 and reference 101673. Please note, if you extend your stay, you must call the Melrose to make your hotel reservation. 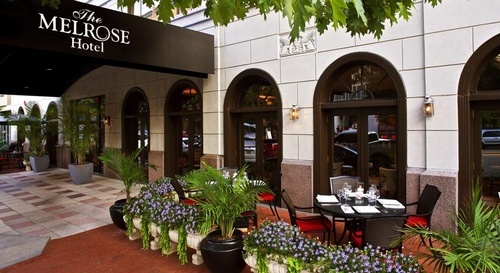 Melrose Georgetown Hotel is a AAA 4-star boutique hotel sharing a Pennsylvania Avenue address with the White House. This charming Georgetown hotel is minutes from the National Mall, George Washington University, the Kennedy Center, Smithsonian museums and the Potomac Riverfront. The Melrose is home to the distinguished Jardenea Restaurant, which offers "Farm-to-Fork" cuisine. Guestrooms and suites at the Melrose Georgetown Hotel are designed for the traveler in mind. All accommodations are spacious and unique in design providing the latest in comfort with pillow top mattresses, flat screen televisions, mini sized refrigerators, in-room safes for valuables and much more.